ether Archives | AsiaBC HK: Register Company. Open Bank Account. Save Tax. Pay by Bitcoin and Ether? We accept cryptocurrency now. Do you have Bitcoin or Ether to spend? AsiaBC welcomes you. 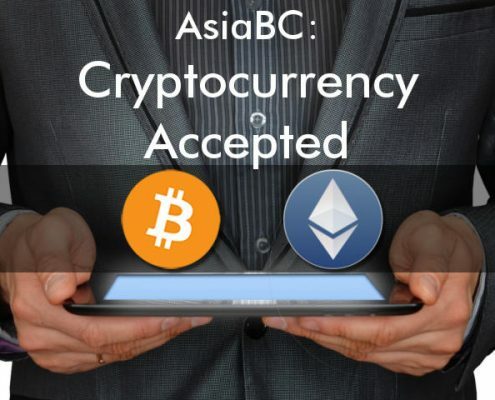 https://asiabc.co/wp-content/uploads/cryptocurrency-accepted.jpg 480 720 AsiaBC Hong Kong editor https://asiabc.co/wp-content/uploads/asia-business-centre_logo_340x156.png AsiaBC Hong Kong editor2017-09-06 18:15:252017-09-06 18:15:25Pay by Bitcoin and Ether? We accept cryptocurrency now.